One can learn a lot about the new Chinese leadership by who its allies and enemies are, and how it deals with both. In his monumental biography of Lyndon B. Johnson, Robert Caro writes that a fundamental characteristic of power is that it “reveals.” As people climb the slippery slope to the top, concealment is their ally. They cannot offend too many, and so they have to wind and weave to build up enough support to get them into power. Once there, however, they can be more explicit, and reveal their true colors. 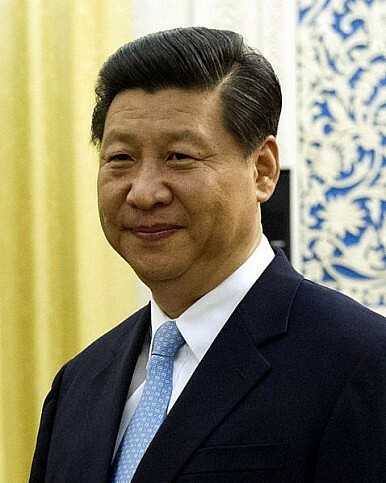 Now that Xi Jinping has been in power for almost a year, are we able to see more clearly what kind of leader he is shaping up to be? The much publicized criticism sessions held in Hebei recently are striking for many reasons, not least their old fashioned quality. Not many, when they saw Xi make his first confident declarations as Party Secretary in mid-November 2012, would have thought that less than a year later he would have invested so much time and effort in movements like this. Don’t they seem a little like the public humiliations of officials in the Cultural Revolution from nearly half a century before, precisely the sort of dramatic manifestation of internal cleansing that the modernizing Party would want to get away from? We can best understand the new leadership by watching what their actions say about who they consider allies and who they consider enemies. For the allies, we have to look in the Party. The Party appears in Xi’s world increasingly like an elite mobilizing force, a sort of vanguard which needs to maintain its priest like sanctity. Xi’s anti-corruption campaign is symbolic of this. For Xi, the issue is not how to whip the rest of society into shape with Maoist-style mass campaigns. The era for those has gone. What is more important is to concentrate on the core foot soldiers of the Party’s cause, the elite within it, the provincial and ministerial leaders, and those in the state owned enterprises (SOEs) – the few thousand individuals that actually run China. Should insubordination arise among this vanguard, the Party could be put in peril. So having visible campaigns that theatrically demonstrate that the unified line of the Party still means something, at least to this core audience—and that straying from it can have devastating consequences— is still a job worth undertaking. That the wider public and the world outside might find these self criticisms odd or quaint is not the point. Their message for the insiders is clear enough, and that is all that matters for Xi. And then there is the issue of who the Chinese leadership perceives as its enemies. The Party ideologues, with Propaganda chief Liu Yunshan at their heart, seem to have a clear eyed view of the impact of social media and Western influences on the rest of society. It is not a tide they can turn back. What they can do is to try to enclose certain areas and defend them – at least for the moment. In a speech a couple of years ago, before he became a member of the Politburo Standing Committee, Liu admitted that party leaders gave speeches that bored and alienated most people. But that hasn’t stopped him from recently supporting stark attacks against activists, rights lawyers and business people who have gotten out of line. The message is clear; creating an atmosphere of uncertainty by arbitrarily selecting figures to make an example of is all that can be done in a crisis where the Party simply cannot control the messengers like it once did. As the judge in a William Burroughs’ novel said, “Be just, and if you cannot be just be arbitrary.” In that way, very ironically, the Party maintains a sort of messy control, for now. Given their allies and enemies, as well as the tactics they’ve used to manage both groups, it’s clear that China’s current leaders are elitist and conservative. Their core focus is on control of what they can realistically still hold on to, not trying to reach out to the vast areas beyond this. The Party has no explicit message yet, beyond abstract talk of the Chinese dream, for how to capture the public’s imagination and win its deeper allegiance. Perhaps the leadership fears it has no way to do this. If China’s economy does start to slow down more quickly, then the issue of the Party’s ability to maintain the real loyalty of the Chinese people will become critical. But from the evidence available so far, the Party is concentrating on its key constituency, its own innermost membership, and beating up its easiest enemies. Perhaps Xi has a deeper game plan that he is still concealing. All we can say at the moment is that he has revealed who he needs as allies and how to control them, as well as who he considers his enemies and how to deal with them. For the vast majority of people who lie somewhere between these two groups, it seems as though Xi has no game plan at all.